Adds special weapons to the most important characters in Skyrim. 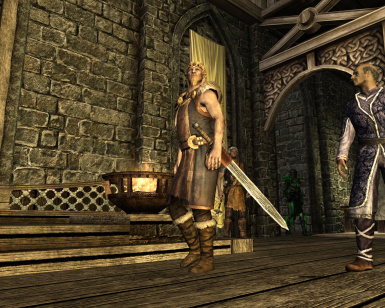 Ulfric Stormcloak and General Tullius now carry weapons to fit their station! Royal Armory - New Artifacts - Deutsch ZWINGEND benötigt! 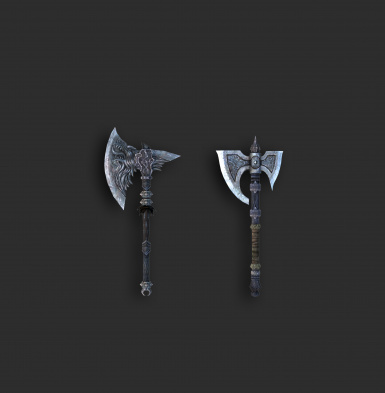 Other modders are free to use these weapons for own modding projects. Just make sure to give me credit please. All credits should go to Bethesda, since I used their meshes and the weapons use their textures. Thanks to Icecreamassassin for helping implement the script features to add items to NPCs without any vanilla edits or conflicts. Also a few credits to me for modifying them and a lot of credits to the community for motivating me! Total redesign of the way weapons are given to the characters. Everything happens through script now, which should prevent a lot of conflict issues. Big thanks to icecreamassassin for hi s CK wisdom!! New scabbards for a few swords! 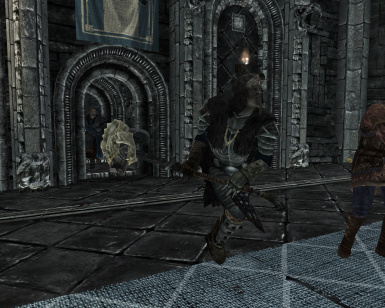 Isn’t it strange that all the important characters in Skyrim like Ulfric Stormcloak and general Tullius walk around with common steel weapons? Meanwhile in Game of Thrones and Lord of the Rings every noble and their daughters seem to be carrying a sword with a name. 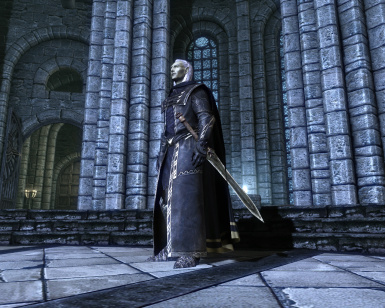 Wouldn’t the Imperial General of Skyrim carry his own personal sword? 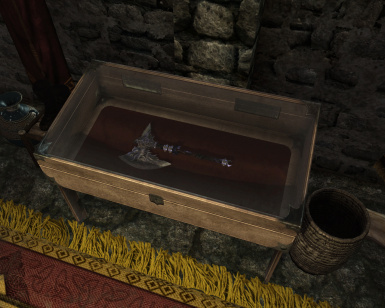 Wouldn’t the most influential Jarls of the land have a weapon that fits to their station? If that has bothered you as much as me then this is the mod for you! 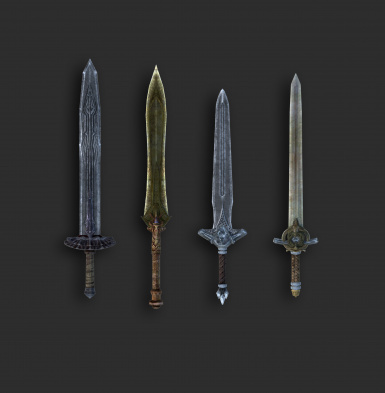 The main goal of Royal Armory is to add immersion by giving the most important characters in Skyrim weapons to match their status. There are no quests and no rewards in this mod. My idea was that you’ll encounter these weapons naturally during play through. Some of these weapons you can obtain when the owner dies, some you may be able to steal, and some you may never get your hands on. This is first and foremost an atmospheric mod. But what if you are a collector and are looking for some new weapons to add to your collection? You are not able to obtain every weapon during the game itself, but I did add an alternative way to obtain both enchanted and unenchanted versions of each weapon added by this mod. So no matter if you play this mod purely for immersion or as a collector of artifacts, you’ll be able to get what you need. Like Heavy Armory my aim was to make new weapons that blend in seamlessly with the weapons Bethesda created. That’s why I used bits and pieces of existing weapons to create new varieties. Basically, I don’t even want you to notice that there’s a mod running. The easiest way to install the mod is by downloading and activating through the NMM. It will do all the work for you. If for some reason you need / want to do a manual install just download and extract the content of the .7zip to your Skyrim/Data folder (choose overwrite if asked). All that's left to do is activate the .esp and start the game! 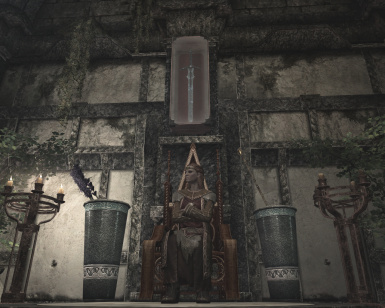 ebony, while others say the king found the sword stuck in a glacier. - Chance of one or more random effects! Not all to your benefit..
How to get these weapons? 1. Play the game and encounter each weapon naturally during playthrough. This would be the immersive way. You'll encounter the weapons while playing through quests. Some you'll gte your hands on, other not. For a detailed overview of where to find all weapons, see this article. 2. You want these weapons now! Or you already finished certain quests and some weapons can't be obtained anymore because the characters wielding them are dead and gone. 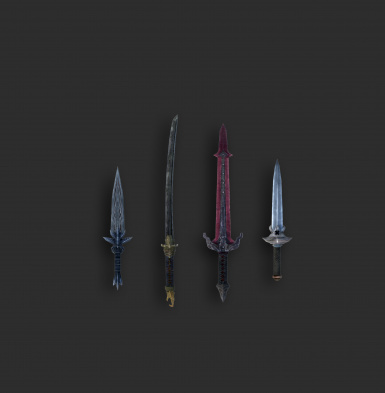 Or you simply want unenchanted version of these weapons to put your own enchantments on. Luckily for you there is another way! 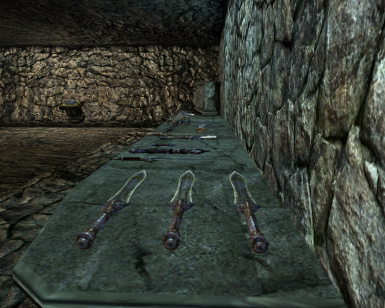 You'll be transported to a room with both enchanted and unenchanted copies of every weapon added by this mod. Try them out, take them with you and use them on your quests or put them on display. The choice is yours. (Ps. You can fast travel back to Skyrim from the test space or just use console commands to return). 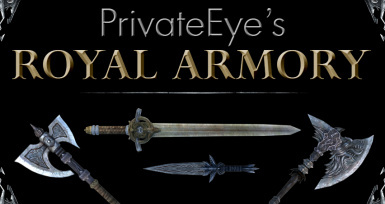 - Heavy Armory Made in the same way and with the same goal as Royal Amory. 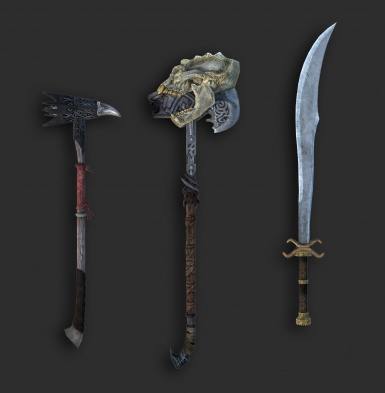 HA adds tons of new weapons including spears, halberds, shortswords, tridents and quarter staves. 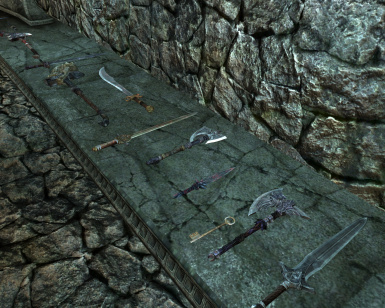 All new weapons were created using vanilla Skyrim weapons to keep the same visual style. Always be sure to read the above mod description first! Still didn't find the answers you're looking for? Maybe you'll find them in this section. -Do Texture replacers work with HR? Yes, as long as they override the original Skyrim textures. -Does (Mod X) conflict with Royal Armory? Royal Armory is a very minimal mod. It only adds weapons to a few characters and makes some minimal changes to a few cells. 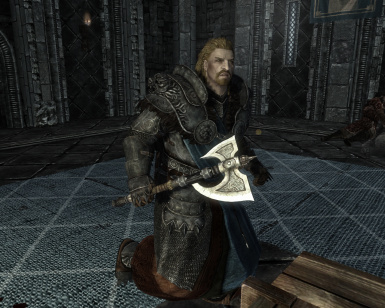 Mods that add weapons to the same characters as this mod obviously conflict. Mods that add armor to these characters should work fine. 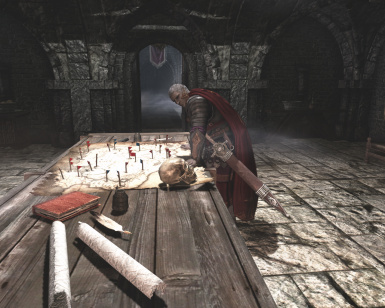 Also mods that heavily modify the basement of Jorrvaskr may conflict, though you should test to see if this is the case or not. This issue could be related to the NMM. Try re-downloading the mod. If that doesn't fix the problem, try a manual install. This has been known to fix it. -Will you create a patch for (Mod X)? No. But if anybody would like to create a patch between HA and another mod they are free to do so. Upload your mod and send me a link so I can link to it in the description. -Can I translate Royal Armory to another language? I’d be happy if you did! Upload your translation and send me a link so I can link to it in the description. -Can I use assets from your mod for my own mod project? Sure! But I’d ask you to notify me either through a PM or in the comment section. Also I want to be credited in your mod for the work you use. Thank you! Yes, you! Everybody who ever downloaded, endorsed and/or commented on this mod. It’s because of you guys that I continue working on this stuff. All the support means a lot to me and I’m happy that there are people who enjoy using my mods. And very special thanks to Katcher12 and Dimitrisgrr who helped out with converting this mod to the SE. I really appreciate it! Also I would like to give an extended thanks to icecreamassassin for all his time and help!